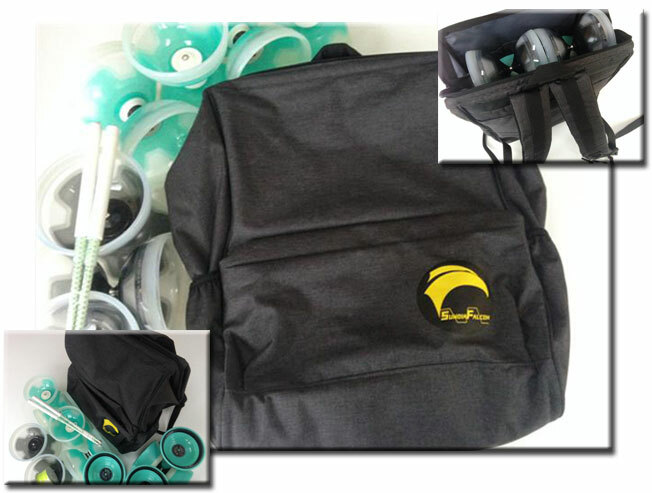 This professional quality diabolo backpack style bag from Sundia holds 10 full sized diabolos with a lots of separate pockets and compartments for sticks, string and any other accessories you might want to carry. Its made with heavy duty material and has padded back and bottom to keep your contents safe. It features study and comfortable padded shoulder straps.